The Institute for Energy Economics and Financial Analysis and the International Energy Agency (IEA) project that, by the year 2040, the energy needs of the 10 Association of Southeast Asian Nations (ASEAN) member states could grow by as much as 80 percent, as the region’s economy triples and its population rises by almost 25 percent to 760 million. The demand growth would be equivalent to 14 percent of all global energy demand. To support this growth, the region urgently needs easily available and affordable energy, as well as universal electricity access. One strategy to address rising electricity demand is to increase generation capacity. This would serve the growing urban middle class, which is increasingly demanding home appliances and cooling, marking not only a shift in quality of life but also a growing assumption that power is affordable and reliable. The IEA also expects demand to double in the industrial sector, driven by the growth of industries at the core of the region’s economic activity. By 2040, the IEA projects that power generation capacity will more than double to 565 GW, with coal and renewables accounting for almost 70 percent of new capacity. By 2040, the IEA anticipates renewables will account for the largest share of installed capacity (nearly 40 percent), but coal will still have the biggest role in the generation mix (40 percent). Seventy percent of new coal-fired capacity will use high-efficiency supercritical or ultra-supercritical technologies. In its search for affordable and available fuel sources, the region cannot ignore climate change. Indeed, much of Southeast Asia’s population lives in low-lying coastal regions that are vulnerable to flooding and typhoons caused by changing weather patterns. According to the ASEAN Centre for Energy, the region’s renewable energy sources include biomass in Thailand, geothermal potential in Indonesia and the Philippines, and wind power potential in Thailand, the Philippines, Vietnam and Indonesia. Located near the equator, the region has good solar potential, and the decreasing cost of wind, solar and energy storage is making renewables an increasingly viable investment option. This ability to integrate more renewable energy should help ease the tension between the need for more energy and the need to manage greenhouse gas emissions. Significant investments in renewable energy would allow the region to balance out its current power generation portfolio, which skews heavily toward fossil fuels. Another benefit is that renewable energy sites are smaller in scale than conventional coal power stations, allowing for diffused placement on island nations. Even though baseload fossil fuel generation will remain necessary for the foreseeable future, the opportunity lies in deploying microgrids to help integrate intermittent renewable energy with fossil-fueled power to deliver a stable and widely accessible power supply. Currently, 65 million people in Southeast Asia do not have access to electricity, making universal electricity access a critical goal. In spite of that, the growth in renewables is encouraging. According to the International Renewable Energy Agency (IRENA), in 2016, Thailand became the first Southeast Asian nation to rank among the top 15 solar power generators worldwide. 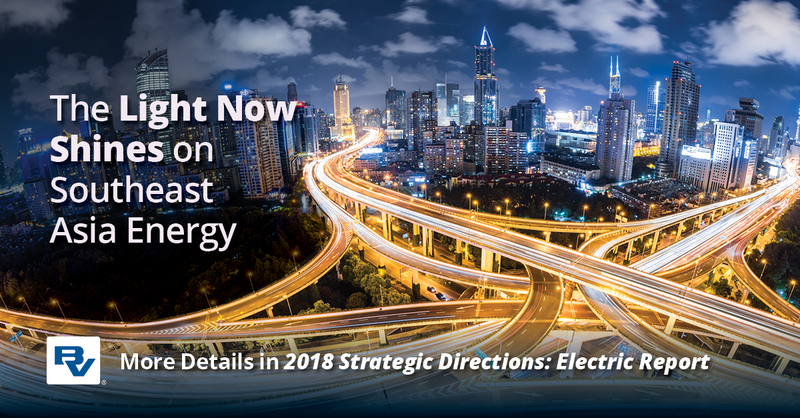 The region’s desire for energy development can be seen through its policy framework upgrade, fossil-fuel consumption subsidies reform, increased regional cooperation and encouraged investment in renewable energy. Emerging countries such as Indonesia and the Philippines are exploring the use of renewable energy to achieve goals of universal access to electricity. Incorporating renewable energy into the mix will give people living in remote areas the opportunity to rely less on expensive and polluting diesel generators, while bringing the region closer to achieving the United Nations Sustainable Development Goals and fulfilling the commitments of the Paris Agreement. These countries are considering off-grid solutions, such as solar mini-grids and microgrids, to provide power to island communities and remote areas where expanding the existing grid is often economically unviable. In 2017, the World Bank reported many of Indonesia’s 6,000 inhabited islands use power from diesel-powered or small hydro-powered mini-grids, and a few are retrofitted with solar photovoltaic (PV) systems to avoid using high-cost diesel fuel. According to IRENA, half of the Philippines’ power grid is powered by coal, while natural gas and renewables account for more than a fifth of the energy supply; oil accounts for the rest. The country expects its energy consumption to triple to 67,000 MW by 2040 and, as a result, is accelerating its renewable energy deployments to address this growth in demand. The IEA forecasts that Southeast Asia requires at least $2.7 trillion in energy investments by 2040. To meet these increased capacity targets, the region needs to attract large investments from the private sector and international financial institutions. Attracting the appropriate investment will depend largely on the incentives available to investors as well as their perceptions of risks. Investors today are more rigorous in assessing and pricing risk, and they’re quicker to switch asset allocations in response to changing circumstances, including perceptions of a country’s long-term potential. Japanese developers typically focus on traditional project financing and equity, while Chinese companies invest through engineering, procurement and construction (EPC) contracts. For renewable energy projects, Chinese developers often act as suppliers for equipment such as solar panels. The opportunity to attract investment to the region lies in improving policy and framework certainty, greater efficiency and transparency, and smoothing out the permitting process while ensuring that projects are bankable. Opportunities are also available in reviewing existing policy and regulatory perspective to manage renewable power sources and battery storage together with traditional baseload generation, ensuring grid stability. To achieve this, Southeast Asian governments are offering feed-in tariffs and considering reverse auctions. With a feed-in tariff, utilities and power distribution companies are obligated to buy renewable electricity from eligible participants. The World Bank explains that the cost-based prices enable diverse projects to be developed and allow investors to obtain a reasonable return on investments. In 2012, Thailand became one of the first countries to offer feed-in tariffs to solar developers. Reverse auctions have also been considered to regulate renewable energy prices. In a reverse auction, sellers (such as generators) allow large consumers or distribution companies to bid for power contracts. The lowest offer is the winner. Policymakers find auctions attractive because they promote competition, push prices down and result in lower tariffs to end users. Cheaper renewable energy, together with increased efficiency measures and growing innovation in on- and off-grid energy storage systems, will hopefully make it possible for the region to achieve universal access to a reliable energy supply by the 2030s. The appropriate energy mix for each community will depend on its resource distribution, distance from existing demand centers and population density — but perhaps more important is the need for a flexible and pragmatic approach to governing energy access, which will help facilitate incorporating different forms of energy into the mix. Increased competitiveness in the renewable energy market will likely lead private developers to look for new growth areas. This, in turn, could lead to more investment in distributed energy and microgrids, improving quality of life on Southeast Asia’s archipelagos.